Searching for flights can be frustrating. 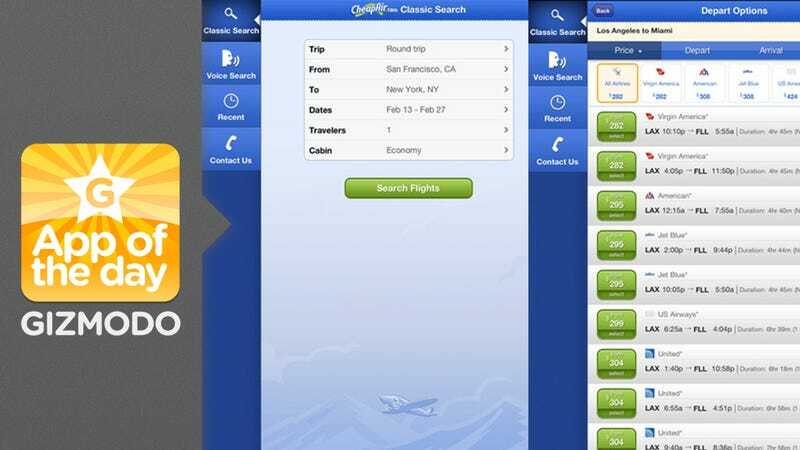 You go back over and over, tweaking your dates and destinations, trying to find the best fare. But a new voice-controlled app could help. Lets you use your voice to search for airfare by simply speaking New York to Dallas, March 29 through April 1, or even Friday to Monday. Because you don't have to fill out any search forms. You can also speak colloquially, and the app can understand what you're talking about. For example, you can just say the day of the week. Plus, it gives you the general info you want to know, like whether the aircraft has Wi-Fi or meal service. Hey, anything that makes it easier to get the heck out of Dodge is fine by us.